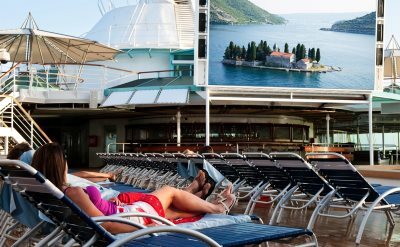 Royal Caribbean ships are innovative and casual. They are designed to be fun for the whole family, and they're affordable too. 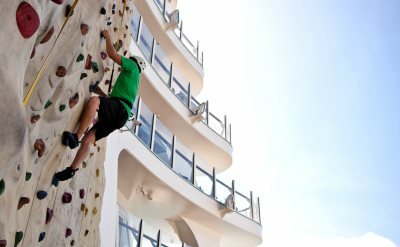 Features of Royal Caribbean cruises include active fun at the rock-climbing wall, ice-skating rink, and surfing simulator. Enjoy live entertainment like Broadway shows, comedy, and music. Watch movies outdoors by the pool. Choose from multiple dining options. The kids will stay busy and happy in the Adventure Ocean Youth Program. No Royal Caribbean cruises are scheduled in 2019. Maybe the popular and affordable cruise line will come here in the future. For other options, see our complete calendar of cruises out of Charleston SC.